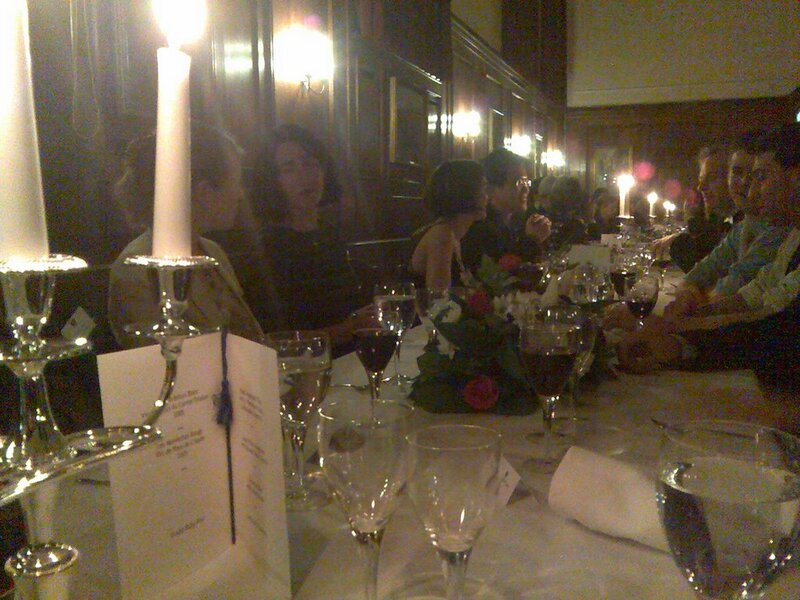 The faculty dinner that I had blogged about earlier was finally held this evening at the College. This was the third, I think, in a series of five dinners, clustered around different disciplines. 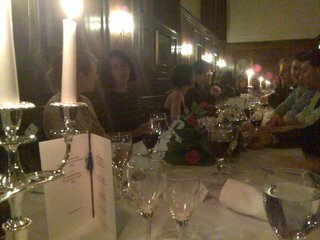 Collectively, these dinners see Goodenough College putting on its best, inviting academics and other guests from around London to partake in a formal dinner, balanced suitably by both pre- and post-dinners drinks. It’s also very old school. We began with grace and continued with polite chatter amidst the candlelight until it was time for coffee and port and a toast to HM The Queen. Thereafter came a speech by the Director of the College, who then introduced the After Dinner Speaker. My guest for the evening was my lecturer for the Theories and Actors of the Policy Process class last term. He had completed his PhD earlier in Georgetown University, and so we had some fun chatting about our respective experiences of Washington, and also discussing my coming dissertation project. I was glad he accepted the invitation. It’s always nice to be able to see your professors letting their hair down. I actually found the evening rather enjoyable, despite being seated at the far edge of the corner table and also away from my guest, despite the dubious main course – a rubbery piece of meat, the provenance of which is suspect – and despite an exceptionally awful After Dinner Speaker, who broke all rules for After Dinner Speaking. It wasn’t funny, it didn’t engage, and it certainly sought to provoke. The content was okay. But the setting was wholly out of place. But my thanks do go to the College. I love it whenever there's a glass of port around.